For business starters and investors looking at greentech/cleantech as a good possibility, keep something in mind: It is a very, very tough business to survive and thrive in. Plug-in electric carmakers have been finding it out, and now solar power suppliers are going through their own wringer. It’s not all bad news for the solar business. There are some real solar market opportunities for commercial and residential buildings, especially among electric vehicle owners. As Craig Shields of 2GreenEnergy.com reported, 35% of EV owners in the US (and about 56% of EV owners in California) either have or are installing solar panels on their homes. California, and a few other states, are pushing for renewable energy through mandates and subsidies, and solar makes the most sense for meeting the renewable targets. Tesla CEO Elon Musk, who also serves as the chairman of SolarCity, sees great opportunity in solar power, and Solar City’s stock price trend has been very strong for several months. Electric utilities are not happy with solar. Utility companies are now pushing hard to roll back government incentives designed to promote solar power and other renewables. They’re worried about their profits being carved away and the future of their industry being in question, and are lobbying to stop credits being issued by state governments. 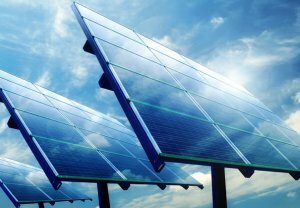 Chinese companies are taking business away from US solar companies. The European Union had the most recent political fight over this issue, which has been a big one for the Obama administration. Tariffs are being applied to Chinese solar suppliers doing business in the US and Europe, but it doesn’t seem to be enough to stabilize it. Chinese solar companies can flood the market with products and low pricing (called “dumping”); these companies are able to do it by receiving huge subsidies from the Chinese government, and by using a much cheaper labor force to make the PV panels. The buyer market is limited. While there are a lot of subsidies for building owners in places like California to bring in solar, it’s still targeted to a very limited audience. Solar companies have been very successful marketing to groups like members of a few environmental organizations; or by partnering with automakers selling EVs, such as SolarCity has done with Tesla and Ford. It comes down to the challenges faced by other greentech companies – how do you get the consumer to make that commitment? There a lot of questions floating out there on how much it costs to install and maintain solar panels; how much it lowers your electricity bill and does that make the investment worthwhile; and do solar and other renewables stand a chance of taking power generation away from coal? Very big questions. We’ll see what happens. There’s more evidence that change is in the air, when it comes to car ownership in America. The University of Michigan Transportation Research Institute (UMTRI) just released two studies on the issues. One study showed by that the rate of vehicle ownership on a per-person, per-household, and per-licensed driver basis peaked in 2006 prior to the Great Recession. Another UMTRI study found that there’s been a significant decline in vehicle miles traveled – those numbers peaked in 2004. The studies have found change is due to increased telecommuting, higher use of public transportation, greater urbanization, and changes in the ages of drivers. A big one is Gen-Y/Millenials losing interest in drivers; only 28% of 16-year-olds had driver’s licenses in 2010, compared with 44% in 1980, according to UMTRI. Miles driven by young people 16-to-34 years old also dropped quite a bit – 23% between 2001 and 2009. Older drivers also play into it – they make up the majority of drivers on American roads and are tending to drive shorter distances. Expanded transit systems and bike-share networks are also playing into less miles driven behind the wheel. Bicycle commuting in the US grew by 47% between 2000 and 2011, and at much higher levels in a few bike-friendly cities. As recently reported in Green Auto Market, Southern California is once again the bellwether of changes in transportation trends. Light rail has been expanded 26% in the past eight years. Bike lane networks have doubled to 292 miles. Bus and train ridership is growing – up nearly 5% in May 2013 versus May 2011. Even more significant – the total number of passenger cars has declined in Los Angeles. The market rebounded from the recession, but the 2012 sales numbers were 28,000 less than five years earlier. Transportation alternatives, sometimes called Smart Transportation, are gaining a lot more interest in sprawling urban environments. It’s tied to consumer interest in…..
Carsharing, vanpooling, and group transportation modes. 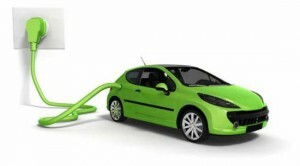 Alternative vehicle technologies including plug-ins, hybrids, and alternative fuels. Bike lanes and safety gear for bicyclists. Living closer to work and retail stores with more foot traffic – and less annoyance with finding parking spaces and being charged fees for them. Plus more telecommuting through the latest technologies. Eventually, advanced vehicle technologies are expected to play a larger role in the solution through autonomous vehicles that can park themselves and eventually driverless cars. Safety, reduced traffic congestion, and cleaner air are typically cited reasons for moving forward in these breakthroughs. Welcome to the weekly edition of Green Auto Market. Some of you were previously reading Green Automotive Digest, and others have been reading the monthly Green Auto Market for the past year and a half. This weekly blog newsletter is produced by Jon LeSage, editor and publisher, along with Automotive Information Network, Inc. (parent of Automotive Digest, Dealer Digest Daily, Fleet Management Weekly, and Used Car Market Reports). This newsletter will be published on Tuesday mornings; it will continue offering the same analysis, coverage, and style – now in a more timely weekly format. Chevrolet is marketing torque power in its Spark EV, which has been launched in California and Oregon. A new online video declares that the car’s 400 pounds-feet of torque are “more than a Ferrari 458 Italia.” The 30-second spot shows the minicar zooming through a gleaming white test facility at the speed of light – it goes 0 to 60 mph in 7.6 seconds, faster than the Fiat 500e, Ford Focus Electric and Nissan Leaf, GM says. Mack Trucks is following parent company Volvo Trucks and will begin production of dimethyl ether-powered Pinnacle Axle Back models with the 13-liter MP8 engine in 2015. Volvo introduced its DME option with fuel supplier Oberon Fuels in Sacramento last month. DME engines emit no soot — diesel particulate filter. When produced from biomass or biogas, DME can provide up to a 95% percent carbon dioxide reduction compared with diesel. More than 3,000 attendees made it to ACT Expo 2013 last month in Washington, DC, making it the largest and most significant US annual conference on alternative fuels and vehicles. It took place at the Walter E. Washington Convention Center in partnership with the U.S. Department of Energy as a platform to put key players together in green ground transportation. “We’d like to thank our sponsors, exhibitors, speakers and attendees for a terrific event in Washington,” said Erik Neandross, CEO at organizer Gladstein, Neandross and Association. ACT Expo 2014 will be held with NGV Global 2014, the world natural gas vehicles meeting. These will take place May 5-9, 2014 in Long Beach, Calif.
Hertz has not officially entered the car sharing business – unlike Avis, which bought Zipcar, the largest car sharing company, at the beginning of 2013. Yet Hertz is in the car sharing business through its 24/7 service, which offers rentals at any time of day or night for any length of time. Hertz has about 35,000 vehicles in the US equipped with technology enabling the car sharing service. By 2016, the car rental giant expects to have about 500,000 vehicles ready worldwide for this 24/7 (also called Hertz On Demand) service. That would be about 10 times the size of the current car sharing industry, Hertz said. General Motors plans to double the amount of models that achieve 40 mpg highway or better by 2017. The Chevrolet Volt, Sonic, Cruze Eco Cruze Clean Turbo Diesel already meet that requirement, and the 2014 Cadillac ELR and Spark EV will do even better when released. GM’s long-term approach to sustainability enables us to increase efficiency and re-imagine personal mobility to best meet customer needs and lifestyles, the company said. Ford is attempting to make things right for its 2013 model hybrid vehicles that have been coming up short on its fuel economy performance compared to the official ratings. The company is offering free software upgrades intended to improve fuel economy to owners of 2013 Ford C-Max and Fusion and Lincoln MKZ. Ford drew a lot of criticism following 2012 tests by Consumer Reports, which reported that the Fusion hybrid had 17% less and the C-Max had 21% less than Ford’s original promise of 47 miles per gallon. The 2014 BMW i3 has an MSRP of $41,350, before BMW’s $925 destination fee–for a starting price of $42,275 before the federal tax credit or local incentives. Want to grow your market capitalization five times in less than a year, up to $15 billion in market value? Well then, get a celebrity to head your company. Tesla Motors CEO Elon Musk has become an expert at grabbing regular-and-social media attention; whether that be through unveiling the Supercharger fast chargers for the Model S or teasing the public with his Hyperloop transportation concept that can make it from San Francisco to Los Angeles in 45 minutes. 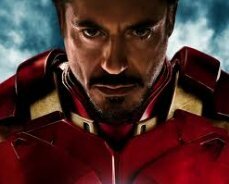 “Iron Man” director Jon Favreau and Elon Musk himself say that Robert Downey Jr. did, in part, base his superhero character Tony Stark on the CEO of Tesla Motors and SpaceX, and a co-founder of PayPal. This character is a true entrepreneur – a big risk taker with a big ego who will bet everything to change the world, according to Rocketboom. Musk heads SpaceX, the first civilian space travel company to link up with the international space station, which took place in May 2012. He’d done very well in taking Tesla public and seeing the stock price skyrocket soon after its first quarter earnings were announced. Tesla’s market cap recently made it equal to Italy’s Fiat and France’s PSA Peugot Citroen combined, says The Detroit Bureau, and it was added to the Nasdaq 100 stock index. That can certainly change day to day in stock trading; more recently, Tesla stock tumbled 14% after an ominous report from Goldman warning that its stock was overvalued. Tesla’s stock prices had been surging since its first quarter earnings report – and that was the first quarterly profit for the company. General Motors CEO Dan Akerson has his eye on how well Tesla Motors performs; he thinks it has the potential to be a disruptive force to the automotive industry and he doesn’t want to be caught off guard. Akerson assigned a small team to study Tesla and how it might threaten GM’s business. Musk and his staff – including former chief strategist at Apple’s retail stores, George Blankenship – have been highly skilled at going viral with their messaging for a pretty small marketing spend. Musk is addicted to Twitter, and the company is great at teasing the media and their audience with unveiling events. Tesla showrooms grab your attention. Dealer associations may win in the courtroom, but Tesla is placing enough retail stores in the style of Apple to inspire rabid fans. Ride and drive events –They’ve been skillfully scheduled and promoted. Once you get behind the wheel of the Model S, it’s easy to get hooked. They’re very good at utilizing Musk’s looks and charisma in interviews and TV guest appearances. Elon Musk has his fans on Wall Street, along with bloggers and Twitter followers who dig superheroes. Great product: Sit in a Model S and check out its double screen dashboard, connectivity and functionality, and feel its powerful torque once you press the pedal, and you’ll be very impressed. Consumer Reports just gave the Model S its highest rating, with 99 out of 100 points. If the price is too high, check out the funding deals through its “revolutionary” financing package. Guaranteed resale value is also helping close deals. Stay tuned for more info on fast-as-the-speed-of-light Hyperloop. “Will publish Hyperloop alpha design by Aug 12,” Musk posted on his Twitter page. Musk first mentioned the Hyperloop a year ago at a PandoDaily event in Santa Monica, Calif. – what he called a “fifth mode of transportation” and what he thinks is a cross between a Concorde, a railgun, and an air hockey table. He estimated it would cost about $6 billion to build a San Francisco-to-Los Angeles Hyperloop; that’s only about a tenth the cost of a plan that’s been floating around the state for years for a proposed high speed rail between the two cities. There’s a partnership that he may be developing a working relationship with – a company that could potentially build the Hyperloop to go 4,000 miles per hour. Pretty exciting stuff. How are hybrid and EV sales performing? Sales were down in June from May for hybrids but up for plug-ins. The hybrid sales trend looks more in line with the overall new vehicle market – up from a year ago and down from May, which can be seasonally normal. Gasoline prices have not spiked up in several months, either, which is always a sales factor for hybrids – new and used. During the past six months, battery electric vehicles took the lead in sales over plug-in hybrid/extended range. Much of that had to do with the Tesla Model S coming to market and an aggressive marketing campaign for the Nissan Leaf. Plug-in hybrids/extended range (Volt) led the market over battery electric models (Leaf) during 2011 and 2012, and that changed over in the first six months of this year. That’s not the whole story, though. There are more pure EV models on the market than hybrid/extended range. The Chevy Volt has taken the lead again for first time since February but pure EVs are still doing better with the Tesla Model S joining the race and price wars for the Honda Fit EV and Nissan Leaf moving up sales. At some point soon, there will be more plug-in hybrids on the market (including Mitsubishi models), and the Ford C-Max Energi and Fusion Energi are likely to grow in sales transactions. Everything else is fairly far behind the Volt, Leaf, and Model S with volumes of 2,698, 2,225, and 1,800, respectively, in June. The Prius Plug In is staying steady (584 units) and the two Ford Energi models are somewhat in that range (455 for C-Max Energi and 390 for the Fusion Energi). Automakers are making price cuts and pushing promotional campaigns, such as the Honda Fit EV, but its sales are still far behind the Big 3 EVs (208 units sold in June for the Fit EV). The Chevrolet Spark EV has been long awaited and saw very slow sales in its first month; this has been the case for most of these cars like the Ford Focus EV and Honda Fit EV. GM appears ready to make a significant commitment to marketing the Spark and, as mentioned in The Big Picture, is focusing on it torque power as an appealing message to get “car guys” down to the dealerships. GM will start sell­ing the Spark EV in South Korea by the end of this year, and will be bring­ing it to Europe as well. Overall, plug-in EV sales are seeing an upward climb – it had a 12.7% growth from the previous month and 163.5% jump from a year earlier. The six month totals are impressive, too – 41,047 in the first six months of this year versus 17,837 in the first half of 2012. Regardless of the influence of new model launches and incentives, people are buying these cars in much larger numbers. How are plug-in electric vehicles comparing to ICEs for ownership cost? As automakers reduce prices on their plug-in electric vehicles, how does the cost of ownership compare to fuel-efficient internal combustion engine vehicles? Ford Motor Co. just joined the price war reducing the base price of its Focus EV from $39,200 to $35,200. With the federal tax incentive, the price goes down to $27,700 and some states are offering their own incentives (i.e., California is taking another $2,500 off the price). Honda cut monthly payments of a 36-month lease on its Fit EV from $389 to $259. 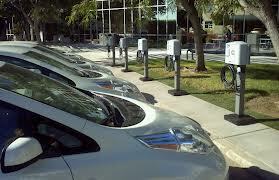 Leasing made up about 93% of electric vehicle sales deliveries in Q4 2012, according to Experian Automotive. Maintenance costs are lower on EVs compared to ICEs. You don’t take them in for oil changes and basic service as you do with a gasoline engine car. As for the cost of the energy needed to keep the car moving, the US Dept. of Energy has started up a fueling indicator called eGallon. On average, fueling your car with gasoline costs about three times more than powering it with electricity. On a given day, the average US price of gasoline was $3.65 per gallon and the cost per mile equivalent for electricity was $1.14 for an electric eGallon. Long term lifecycle costs for EVs are still unknown – unless you’ve been driving one for several years, such as the limited number sold in the second half of the 1990s. As for the new generation of lithium-ion battery models, they’ve only been on roads since late 2010. The cost of the battery pack replacement is a big issue for analysts. However, with 93% of them being leased for now, battery life is yet to be much of a real concern – but the worry is always there. The Nissan Leaf has gone through this struggle in the past year with Leaf drivers in hot areas like Arizona being angry and vocal about the performance of the Leaf’s battery pack. How many consumers will be doing that math while buying a car? “Nobody and that’s the reality,” Gott said. EV sales are still small compared to the overall market – only 0.63% of new vehicle sales in the US during June. They’re not going away, but there are a few barriers to be crossed for these numbers to grow. Car shoppers need a lot more education and experience to address key concerns – limited range per charge; sparse charging infrastructure; vehicle reliability and durability; and total cost of ownership compared to what they’re driving now. Southern California has always been a key bellwether for transportation trends in the US and in the world. The region that had one of the best mass transit systems through the 1940s became the hub of auto sales and traffic congestion starting in the 1950s. Now that trend appears to be changing course. Light rail has been expanded 26% in the past eight years with 18 miles more of track coming by 2015. Bike lane networks have doubled to 292 miles. Bus and train ridership is growing – up nearly 5% in May 2013 versus May 2011. Consumers have a lot more options that gain their interest away from traditional cars – electric cars, hybrids, bike lanes, light-rail, and car-sharing plans such as Zipcar are on the rise. Toyota and Honda have sold a lot of small-to-midsize cars in this market for several years and are putting a lot of emphasis now on hybrids, natural gas vehicles, and plug-in electric vehicles. 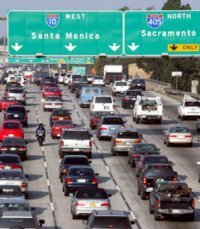 Traffic congestion is getting worse – LA had its longest congestion-related delays in the US in April. The average driver wasted 5.2 hours, up from 4.5 hours in April 2012. Sharing rides is gaining in popularity especially with young people, through social circles, and there’s more interest in bus and rail rides and car sharing. This could be a pivotal moment in alternative fuel vehicle history, up there with the Prius coming to America in 2000, and the Leaf and Volt being launched in late 2010. It has the performance qualities and energy efficiency of diesel but can lower CO2 emissions by 95%. Let me say that again – 95%! Natural gas reduces greenhouse gas/C02 emissions 20% to 25% compared to diesel. It produces no soot, which is a commonly referenced downside of diesel (including clean diesel). Because it produces no soot, no diesel particulate filter is necessary. The fuel comes from a variety of domestic, sustainable sources such as biogas from food and animal waste, wasterwater treatment facilities, and landfills. The fuel can also be tapped and converted from North America’s vast supply of natural gas. This would address the distribution, storage, and fueling challenges faced by natural gas vehicles – dealing with what NGVs face and also contributing to solutions; along with benefiting from a domestic fuel source that doesn’t have to be imported from a hostile overseas market. The fuel is stored in lighter, simpler fuel tanks and lower psi systems than what’s needed for LNG and CNG systems. It’s similar to propane-powered vehicles in that regard. DME has been on the market for years as an aerosol propellant in cosmetics and other household products. It’s a clean, non-toxic fuel. It’s part of Volvo’s “Blue Power” alternative fuel strategy, and has been through ongoing US customer field testing of trucks powered by DME. It was demonstrated to an audience after being announced recently in Sacramento at the California state capitol building. The DME technology will be available in a Volvo D13 engine, the top-selling heavy-duty engine in the world. While not specified in its announcement, it appears that this alternative fuel will operate directly in Volvo Trucks’ engines with only minor modifications for fuel tanks. Blue Power was started in 2007 in Brussels when Volvo showcased seven commercial vehicles powered by seven different CO2-neutral fuels, one of which was DME. More recently, Oberon Fuels has developed small-scale production units that can cost-effectively convert biogas and natural gas into DME. The first of Oberon’s innovative production units will go online this month in California’s Imperial Valley region and is being tested with Safeway. Oberon’s small-scale production units enable the development of regional fuel markets that service local customers engaged in regional haul, initially bypassing the need for a national infrastructure, the company said on its website. Volvo Trucks is still committed to CNG and LNG offerings as well – its lineup already includes CNG-powered Volvo VNM and VNL model daycabs. The company is also producing its own proprietary LNG engine in VNL daycabs and sleepers next year. Will DME makes its way to light-duty passenger vehicles? Very good question. AB Volvo split between cars and heavy trucks in 1999 when Ford bought the car division. Chinese company Geely Automobile bought Volvo Cars from Ford in 2010. Perhaps Volvo Trucks and Volvo/Geely could work together on it? I would imagine it’s possible that the alternative fuel and its storage tank could be made ready to go into gasoline-burning engines, though that may take a while to be workable. 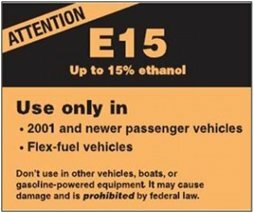 The large fuel tank could be prohibitive for passenger cars and more applicable to trucks – which is the case for propane as well. Electric vehicle charging solutions provider AeroVironment just made an agreement with Ford Motor Co. to be thepreferred installation partner and authorized charging station supplier for its plug-ins – Ford Focus Electric and the C-Max Energi and Fusion Energi plug-in hybrids. Customers will get a 240-volt charger and schedule a turnkey professional installation after making a call to AeroVironment (with a web-based option soon to come). AeroVironment also brings its nationwide network of certified installers and a three-year onsite parts and labor warranty. AeroVironment has become the leader in the field – having installed 11,000 charging stations (home, public, and workplace). Two of its competitors – ChargePoint and ECOtality – have deployed US Department of Energy-grant funded installations, but AeroVironment has surged forward through its partnership with the Nissan Leaf and other customers who are very familiar with the diverse company known for its technology expertise. AeroVironment plays a leading role in supplying the US Dept. of Defense and its military organizations with electric-powered unmanned aircraft systems (aka drones). In the early 1990s, AeroVironment worked with General Motors on an electric vehicle test program that became the EV1 electric car. The Ford program is a little bit different than the dealer program AeroVironment announced at the National Automobile Dealers Association convention earlier this year. Those buying a battery electric vehicle or plug-in hybrid have the option of financing the charger in combination with the vehicle at the time of sale. Dealers can now offer a one-stop shop experience for EV drivers. Dealers can offer various “bumper-to-bumper” warranty options for the chargers that match the financing terms of the vehicle. Chargers bought through the dealer program are installed by a licensed electrician certified in EV charging installation in all 50 states. Nissan is working with AeroVironment on this program, and the charging station maker may do something similar with BMW, Mitsubishi, and other OEMs. Ford’s alliance with AeroVironment is very similar to the one-stop financing program with Nissan. Ford is seeing gradual increases in EV sales, and is getting a lot of attention with its C-Max Energi and Fusion Energi plug-in hybrids. It wouldn’t be surprising to see other major OEMs announce similar supplier agreements with AeroVironment.